Stock mailing laser labels. 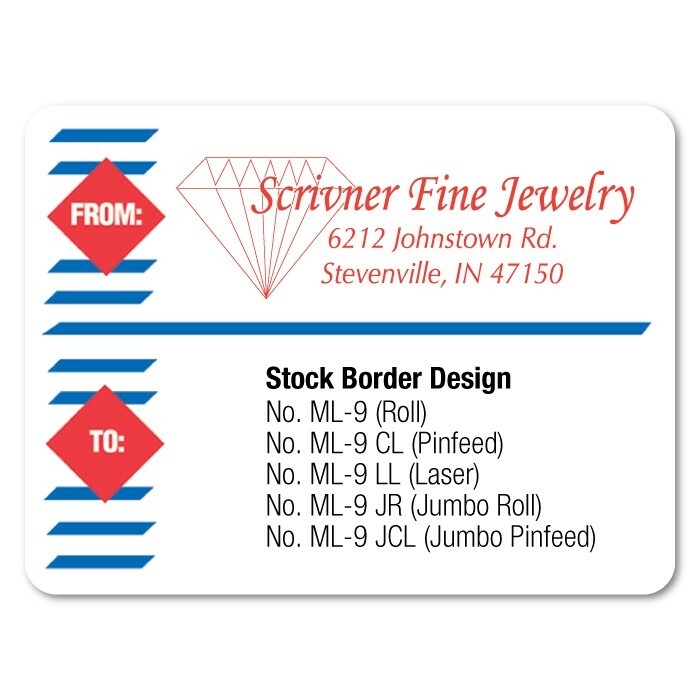 Borders are pre-printed and cannot be altered in size and color. Laser labels are printed on White Laser stock. Price per 100 sheets. Imprint can be one color only. Imprint area is 1/8" from the edge of the border.